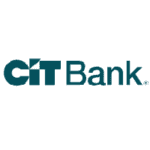 CIT Bank is a U.S.-based bank with over 100 years of history. It has approximately $50 billion in assets and more than $30 billion of deposits. It is a public company listed on the New York Stock Exchange. CIT Bank offers high-yield savings and CD accounts. New customers in any part of the United States can open and then manage their CIT Bank savings accounts online. Deposits and withdrawals can be managed via inter-bank electronic transfers, checks, or wire transfers. CIT Bank provides FDIC (Federal Deposit Insurance Corporation) insurance on all bank accounts. 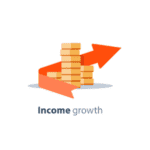 How to grow your savings in the era of low interest? To build your wealth, you should consider CIT Bank's high-interest banking offerings such as 2.45% APY Savings Builder accounts. 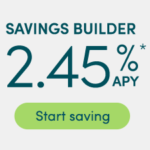 The 2.45% APY Savings Builder Account is a tiered interest rate account with two flexible options to qualify for higher interest rate of 2.45%. You can choose what works best for you to build up savings. Most U.S. banks offer next to nothing on interest earnings for savings accounts these days. How to grow savings in the era of low interest rates? If you are unhappy with slow earnings on bank savings accounts, you should consider looking for a better alternative. You can grow your money at a better pace with CIT Bank for reasonable return on your savings. CIT offers FDIC-insured high yield savings accounts with a 1.85% annual interest. It can be your choice of savings deposits so that you won't lose your hard-earned money to inflation. Most banks are offering extremely low interest on bank accounts these days. The annual interest rates for savings accounts at Chase, Bank of America, Wells Fargo are merely at 0.01% and the national average of interest rates is at 0.06%. However, CIT Bank and BBVA Compass Bank are offering industry-leading interest rates for savings or CD (Certificate of Deposit) accounts. You can open a Savings Builder account to earn 2.45% interest. You can also open a money market savings account at CIT Bank to receive 1.85% annual interest or open a FDIC-insured CD at CIT Bank to receive 2.50% annual interest. BBVA Compass ClearChoice Money Market Account is offering 2.35% annual interest.